The Federal Government has said that it is open to negotiations with the Boko Haram sect in order to find a lasting solution to the security crisis in the country, if the group is willing. 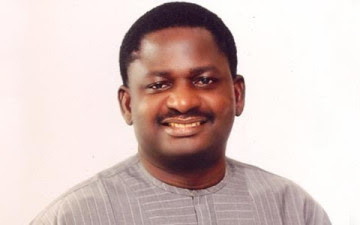 This was disclosed by the Special Adviser to President Muhammadu Buhari on Media and Publicity, Femi Adesina, on Friday, in an interview with the BBC. In the interview, which was monitored by punch, Adesina said the Federal Government was not ruling out negotiations with the sect if it would put an end to the activities of the group. He lamented that the insurgents had attacked so many villages and killed scores of people. “These were very vicious attacks. People were killed in scores and it’s so sad,” he said. The President had during his inauguration speech said he had launched a strategy to deal with the sect by relocating the military headquarters to Maiduguri, Borno State. When asked whether this would work, Adesina replied, “This is going to work. There are machineries being put in place. It’s going to work. The recent killings by the sect were meant to break our resolve, to weaken it, but that will stop. It remains a priority to him (Buhari) to deal with the group. “You will notice that his first two weeks of administration were dedicated to tackling the insurgency. He visited Chad and Niger Republics and the following week, the Presidents of those countries also visited him in Abuja. When the BBC also asked if the Federal Government was considering negotiations with the insurgent group, Adesina replied in the affirmative.